An unexpected difficulty arose before Stratheden's launch, when it was found that an Aberdeen trawler already bore this name. A representative of P&O called on the trawler owner to enquire whether an arrangement could be made to change the trawler's name, as the company was anxious to use it for the new ship. The trawler owner agreed and eventually renamed his ship Earnmore, one hopes that she lived up to the new name! Her owner was invited to the launching of Stratheden, which took place on 10th June, 1937, with the ceremony performed by the Duchess of Buccleugh and Queensberry. 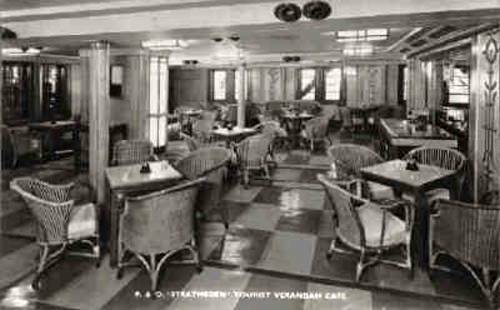 Stratheden was handed over to P&O on the 16th December that year. When Eric Arthur Blair, more commonly known by his nom-de-plume, James Orwell, left England in September 1938, there was always the hope of escaping to a better future. 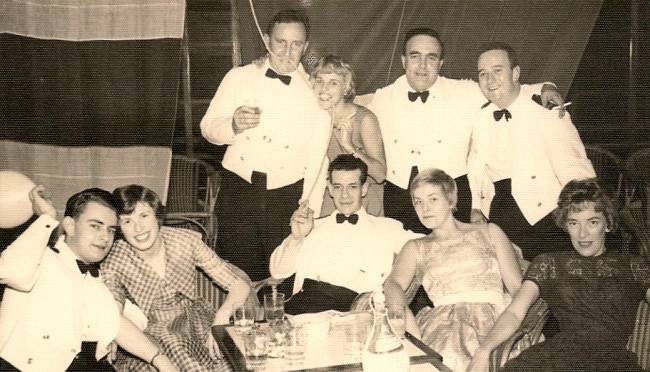 On 2nd September he and Eileen sailed from Tilbury, tourist class on the S.S. Stratheden. 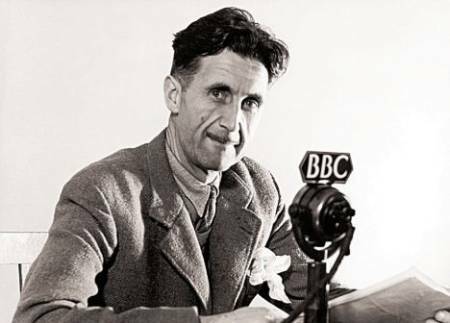 It was Orwell’s second voyage out through the Bay of Biscay and he must have looked with some amusement on the colonials and their memsahibs heading East to take up the white man’s burden. On the passenger list he had designated himself ‘Profession – Novelist’, Eileen had written ‘Profession – Nil’. 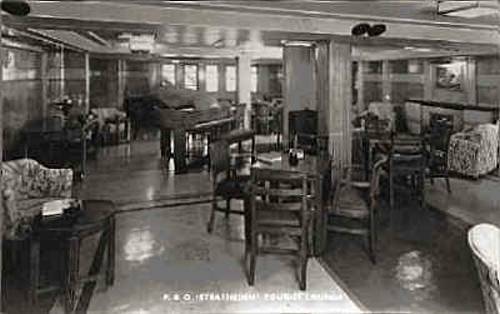 He had taken a patent seasickness remedy, which he was pleased to find worked, and, according to Eileen, ‘walked around the ship with a seraphic smile, watching people being sick & insisted on my going to the “Ladies’ Cabin” to report on disasters there’. On board the Stratheden he had a strange reunion. Tony Hyams, his old pupil from Frays College, was also a passenger, travelling with his mother to the Sudan where his father was in government service. He spotted Mr Blair standing alone on the deck one day and went up to say hello. Orwell was quite pleased to see him but seemed preoccupied. He told Hyams that, having fought in Spain, he was now terrified that, passing through Spanish Morocco to reach Marrakesh, he might be arrested and end up in a concentration camp. The terror inspired in Catalonia obviously lingered. During the war, Captain F. E. French, who was in command and was Commodore of the P. and O. fleet, received a knighthood, and since his retirement, lived in Sydney. The Stratheden's record of war service in many theatres can be appreciated when it is mentioned that 468,094 miles were steamed and 149,697 civilians and troops were carried. Her sister ship Strathallan was with the Stratheden at the North African landings in November, 1942, and was lost through enemy action. 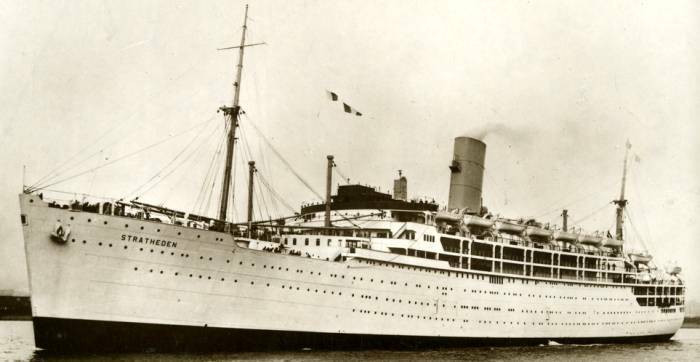 On the outbreak of the Second World War, whilst the smaller P&O liners were requisitioned for service as armed merchant cruisers, the size and speed of Stratheden, Strathnaver and Strathaird suited them for conversion to troopships. All three ships were taken over by the Ministry of War Transport and were refitted and converted for their new role, with their cabin furniture and bulkheads replaced with messdecks, hammocks and mess tables, and their hulls and superstructures repainted in drab wartime grey. When war broke out, Stratheden was on her way to Australia and became the first British liner to pass through the Atlantic and Mediterranean submarine zones. 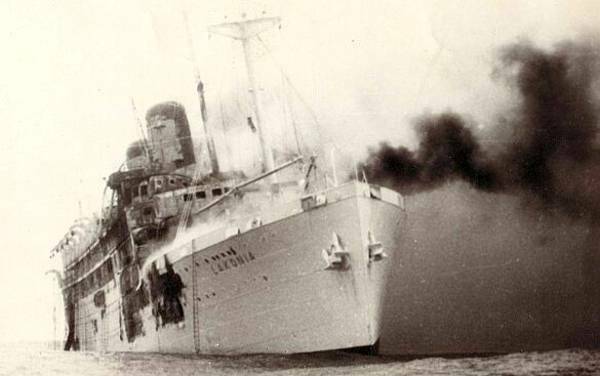 During her wartime service as a troopship she carried 149,697 servicemen and civilians and steamed nearly half a million miles. 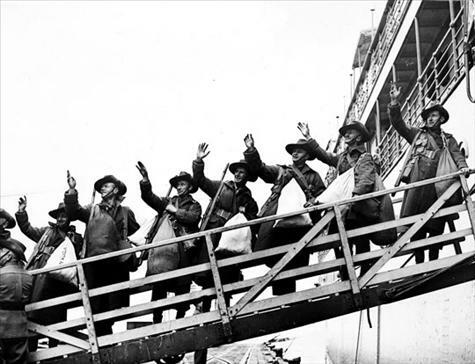 Among the troops embarked were the Seventh Battalion, The Black Watch, and the Second/Forty-Eighth Australian Light Infantry. Also on board the Stratheden were divisional HQ 1/7 Middlesex Regt. - The machine gunners, Reconnaissance Regt. Workshops, RASC companies and divisional signals - in all about 4000 men. Lieutenant Thomas Currie Derrick - A hero of the 2/48th Australian Infantry Battalion. Prior to embarking Tom was involved in basic training at Woodside. 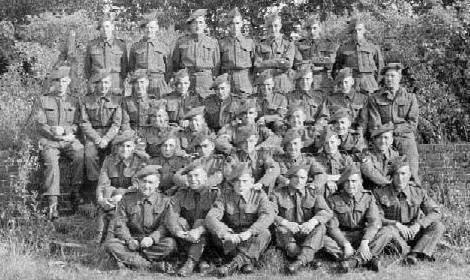 On the 17th of November 1940, Tom along with his unit the 2/48th battalion embarked Adelaide on board the SS Stratheden. This ship made a stop a Perth and Tom was told off for leaving without permission to sightsee. 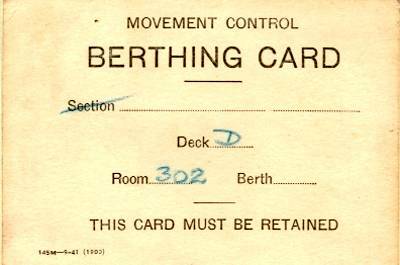 On the 29th of November 1940 Tom was told off again and fined 30 schilling for disorder to prejudice good order and military discipline whilst on board the ship. The unit arrived Palestine, on the 17th of December 1940, where the 2/48th battalion camped at el Kantra and commenced their desert training. Later, in New Guinea, fighting the Japanese, he singlehandedly cleared the ground of enemy soldiers, which allowed the battalion to capture Satelberg. During the siege of Finschhafen and Sattelberg, Papua New Guinea, Tom’s outstanding bravery and leadership earned him the Victoria Cross. Tragically, on 23rd of May 1944. Lieutenant Thomas Currie Derrick was mortally wounded at Frieda. 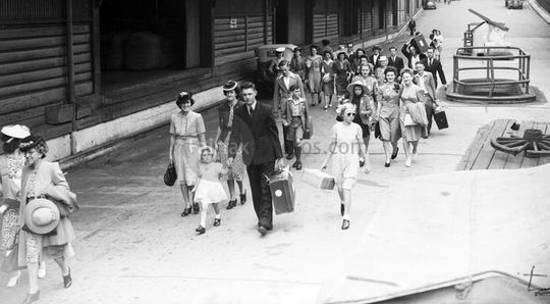 Upon the outbreak of war, The Children's Overseas Reception Board evacuated children from UK to Commonwealth countries. 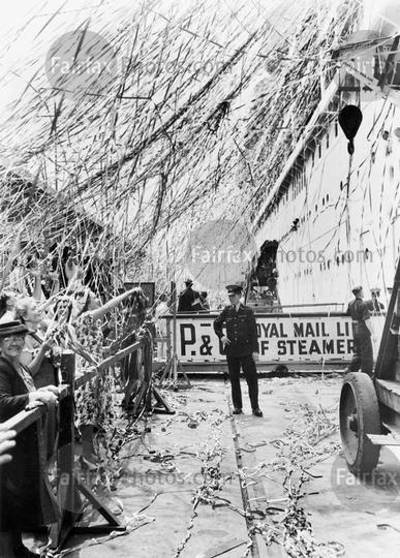 Stratheden reopened the India and Australia mail service for P&O, in May, 1947, after she had steamed 468,094 miles on government service. Bound for South Australia by Ronald Peter Joseph Crichton. 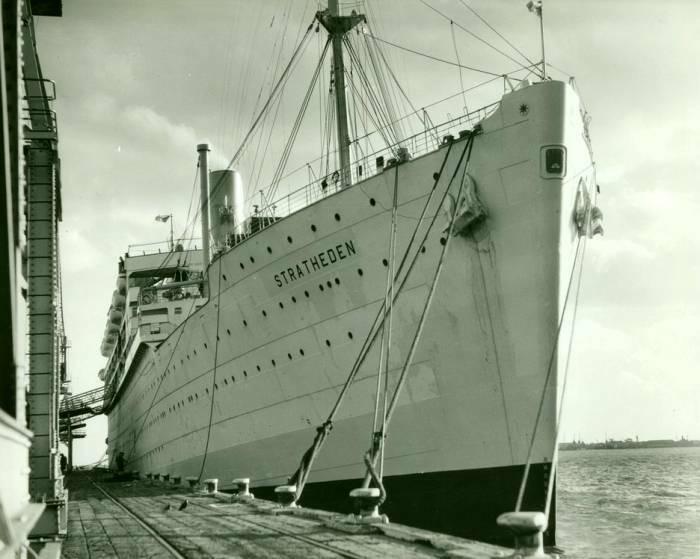 "We sailed on the SS Stratheden. My father was embarrassed by the ship’s name, and before we sailed would only reluctantly reveal its name to his workmates, if asked. The ship shared the same name as a nearby mental institution in Scotland. It was a lovely ship, and the crew made every effort to make the trip a holiday to remember. 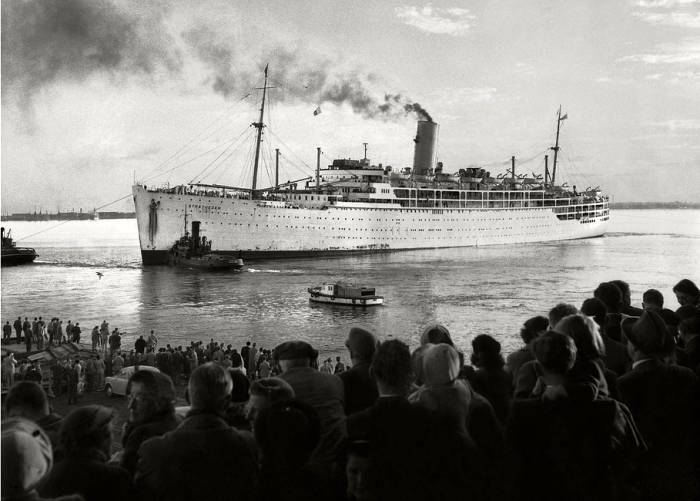 The journey from Oakley to Glasgow where we joined our relatives, and then on to Tilbury on the Thames to board such a huge ship was an adventure. I don’t doubt we were amongst the last to arrive, as the ship sailed soon after we boarded. In the time it took us to find our cabins and get back on deck to look around we had missed seeing the gang plank being removed, missed all the action of casting off the moorings, missed seeing people waving each other goodbye, have no idea whether people threw streamers to their friends and relatives at the dock side, missed the entire show of the ship’s departure, and missed the sights as we sailed out the Thames. 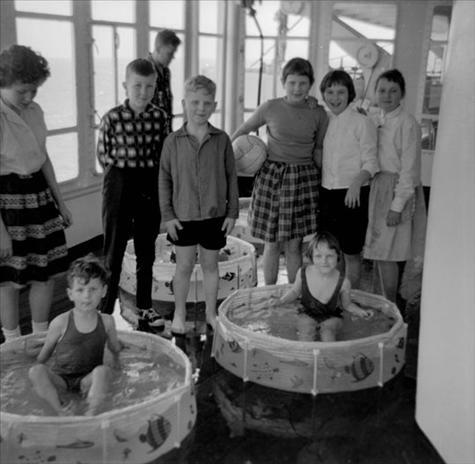 In the shortest time we could get organised in our cabins and get back outside we were in the English Channel. I saw the white cliffs of Dover as a thin strip under an overcast sky fading in the distance. The ocean voyage was an exciting prospect. Perhaps this particular ship wasn’t as glamorous as it once might have been, nearing the end of its life, but there was little to complain about with the service. 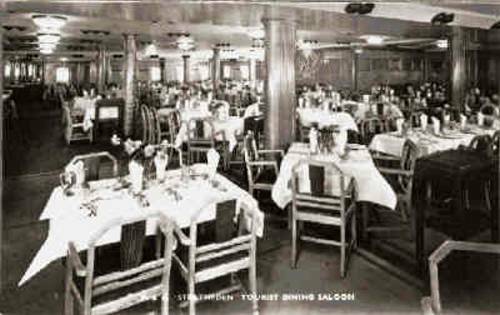 There were stewards to attend to our cabin needs, and everything was done to make the voyage comfortable. Brian was our steward, and he looked after us throughout the day. He woke us with a gentle tap on the pillow, and a morning cuppa along with a copy of Good Morning, the ships daily newsletter informing of the days activities and things to do. Meals were served on a staggered roster. We’d be off to breakfast in the dining room, and when we got back our beds were made. 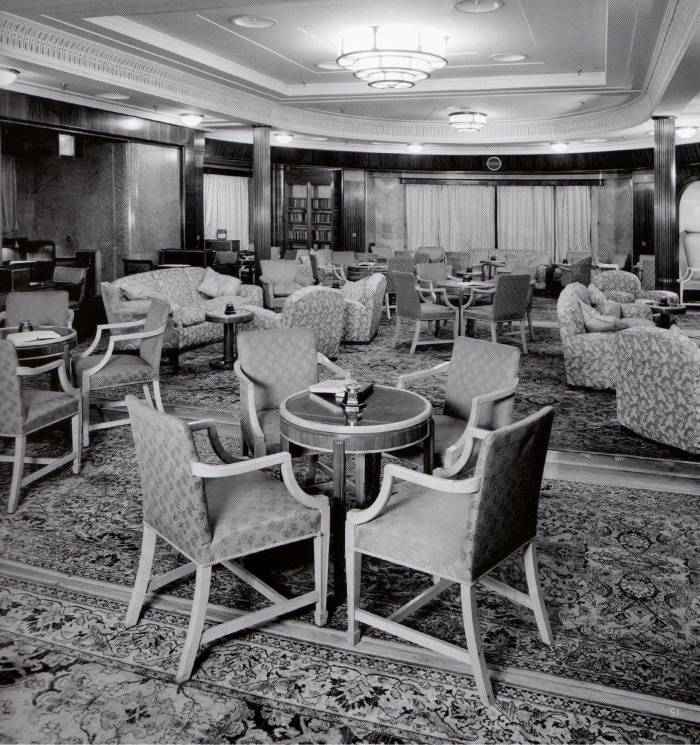 Coffee was served daily in one of the lounges at two in the afternoon. Waiters would circulate amongst the tables with a silver pot in each hand, and pouring simultaneously from each pot, and never spilling a drop. It was a delight to watch, so elegant, so refined, but so bitter. I don’t know how the adults could drink that stuff. I had to fill the tiny cups with sugar to make it palatable. The weather was miserable in the first few days of the voyage with rain and wind keeping people indoors, and crossing the Bay of Biscay made many people seasick. The swell was so heavy it heaved the ship like a cork sending water from the swimming pool crashing hard against one side then the other as the ship rolled and pitched in the huge waves. This region is renowned for its rough waters. Generally, you could only feel the motion of ocean swell when in bed, and barely at all when you were up and about. 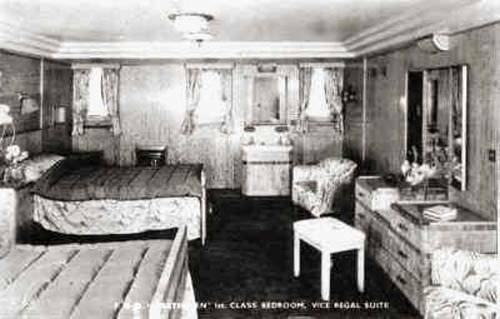 June was unmarried and as a consequence was allocated a cabin in the singles quarters. She had to share her cabin with strangers, which she detested. The cabin was also quite distant from the rest of us, and was located a long way below decks. There were elevators, but it was still well out of the way, and the route to her cabin led through a variety of passages, up and over ramps that may have had something to do with the proximity to the engine room or hold. It was easy to take a wrong turning and get lost on the way. The cabin wasn’t below the water level, but I think she thought it was, and with her fear of the ship sinking she was very unhappy. Her cabin porthole was completely sealed, and spray from the larger waves splashed it occasionally. This put her on edge. She complained and was eventually moved. I have no idea where Vic was located; no doubt in the single men’s quarters. I don’t think he complained. My grandparents had a nice cabin for two. 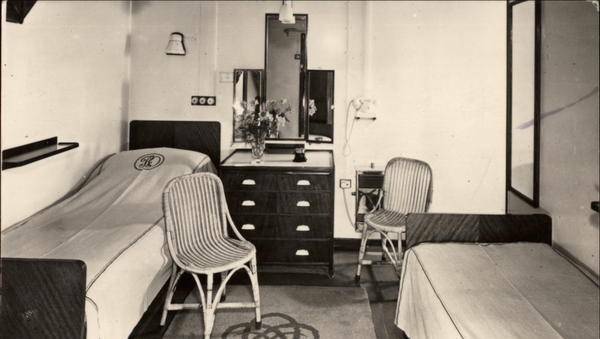 The cabins were very basic, but who would want to spend their time in a cabin when there was so much to do elsewhere. We had a cabin on D deck. There was a bunk bed on each side as you entered. On the left was a small wardrobe, and a dressing table faced the door. At the far end of the cabin a narrow passage ran off to the right, which was too small for much else other than providing access to a sink which was located at the end of it. A porthole was positioned above the sink. There were air vents in the cabin, but no cooling system. A large metal scoop was provided that could be inserted into the open porthole. The scoop took advantage of the forward motion of the ship causing air to be forced into the cabin. It was a rather peculiar, but effective device. A notice on how to use the lifebelts was mounted on one of the painted steel walls. 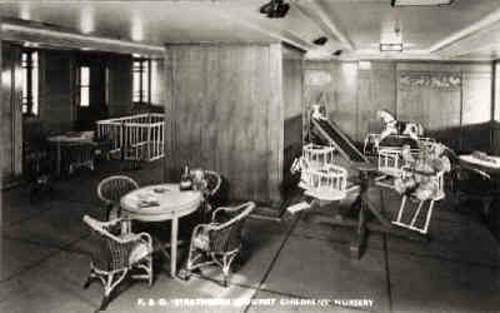 There was plenty to do on board: deck tennis, quoits, swimming pool, table tennis, and chess and draughts sets were always available to use. There were various lounges, a library, movies were shown, dances held, and other entertainment. They even had a school that I was sent to. I suspect its main purpose was to keep the kids out of their parents’ hair rather than attempting to teach anything. It was boring and I decided to play hooky for the rest of the trip. There was another boy who must have had the same idea, and we became friends for the rest of the journey. I was just under eleven when we sailed. I remember this well because signs had been posted all over the ship restricting the access of children. Restricting my freedom; what cheek! 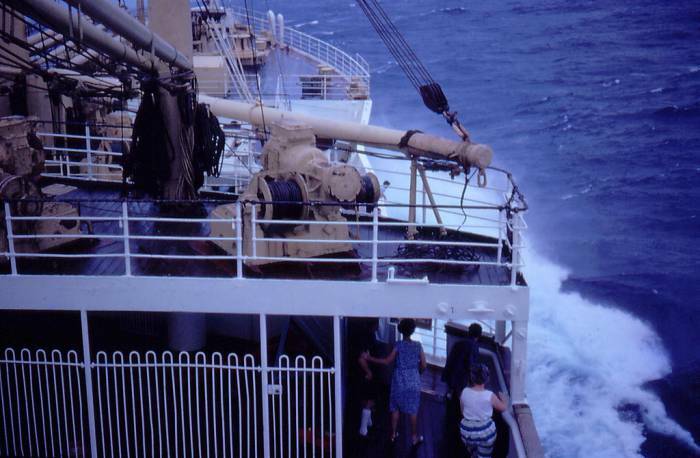 A-deck, at the top of the ship, was the place to be if you were a kid of my age. I remember racing up the stairs with much excitement and anticipation to be faced with a nasty sign saying, ‘Children under the age of eleven are not permitted on A-deck except under the supervision of an adult’. What! It could have been fun riding up and down the elevators, but there it was again: ‘Children under the age of eleven are not permitted in elevators except under the supervision of an adult’. There were more, but I can’t recall them. Of course, I ignored them when I could get away with it, but some member of the crew would generally see you and ask how old you were, and like an idiot I’d tell them my age, and be chased away. I should have lied for the sake of a few months. There weren’t actually many stopovers, but the ones we did make were interesting enough. The first was Port Said in Egypt. There were restrictions as to who could leave the ship; issues relating to passports that I didn’t understand. My grandfather’s passport allowed him access. So off he went for a day’s outing on his own. Very few passengers left the ship. A myriad of traders in small watercraft approached the ship when it was docked at Pot Said. They had their wares on display in their boats, and would try to engage the passengers in trade. 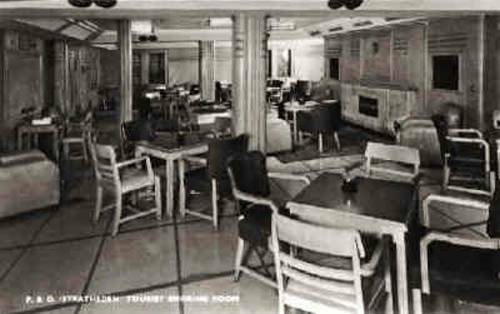 They weren’t allowed on board, so they encouraged passengers to trade with them over the side of the ship, from the lower decks. Money would be thrown over the side into the boats or placed in buckets rigged up with rope tied to the side of the ship for the purpose, and the various trinkets and stuffed toy animals would be exchanged. I was standing next to a young couple watching them barter with a trader. They were haggling over the price of a basketwork clothes bin. The trader was reluctant to part with the item without payment, and the passenger negotiating the deal insisted on inspecting the item before passing any money across. It was a stalemate, but a hand-full of paper cash was waved in the air proving to the trader their ability to pay, but insisted on inspecting the basket first. So, with confidence restored the trader hooked the item to the rope and it was pulled on board. The couple pleased with the basket waved at the trader, then laughed at him, and walked off with the basket. The trader was furious that he had been cheated. There was never any intention of making the payment. The Suez Canal was open when we sailed. That was an interesting experience. For so much of the voyage there was little to see except the blue waters reaching to the horizon in every direction. Though, the occasional flying fish or dolphins could be spotted racing the ship, near the bow. 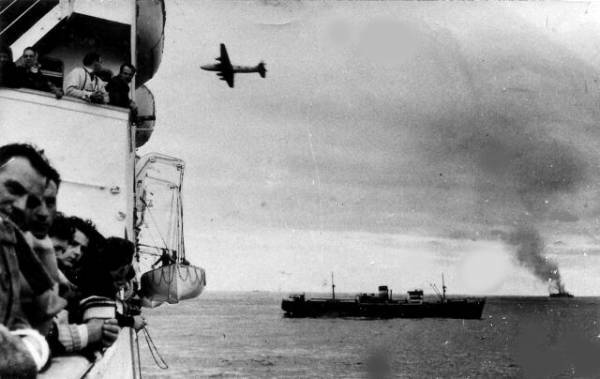 Of course, sometimes other ships would be seen travelling in the opposite direction. Vic joked on seeing one, “It’s full of all the people who emigrated on the earlier ship but didn’t like Australia, and that’s them going back home.” I think my father and Vic’s friendship strengthened during the trip to Australia. The canal seemed quite wide, but sufficiently narrow to make out people on the bank as we passed. I remember seeing a boy standing on the bank; he stood motionless, just watching the ship go by. I wonder where he is now. It must have been a strange sight to see a ship moving among the sand dunes. A ship of the desert! We woke one morning and everything was still. The usual throb of the engines was gone. It wasn’t that the engine was particularly noisy, but the perfect silence that morning was noticeable. On this morning all was quiet. The ship was motionless, a dense fog surrounded us, and the water was perfectly glassy. The scene was both beautiful and eerie, at the same time. The canal links a series of lakes between Port Said and Suez, and the ship was anchored in one of the lakes, waiting for the fog to lift. It’s curious that the Port Said customs was strict in allowing access only to those with passports, and yet when we arrived at Aden it was free for all. Everyone was allowed off the ship and there were no customs officials that I noticed. Aden was renowned for its shopping bargains. People saved before the voyage and went on shopping sprees there. I was encouraged to do this too, and saved for a movie camera. The ship was scheduled to arrive at about 2.00 am. It was a clear, warm, cloudless night. The water was quite still as the ship sailed slowly into port. The outline of the hills surrounding the port was visible as a dark shape against the night sky. There were only a few points of light to show any evidence of a costal town. But this was a ‘Barter Town’ and the closer the ship got to port the more the city lights were switched on as shops opened for business. Aden quickly began to glitter in the night, as it prepared for the punters in anticipation for another day’s trading. The port wasn’t deep enough for the ship to berth. It moored some distance from the dock, and a series of shuttle craft ferried passengers from the ship. The next stop was Colombo in Ceylon. Two things of significance I recall. One was the shopping trip in search of jewellery, and the other was the number of street beggars. Money was spent on jewellery and trinkets and nothing was given to the beggars. Soon we were back on board sitting down to coffee being served in the lounge by elegant waiters. The shops and street beggars seemed so far away when the ship sailed, and there were distractions on board. Soon there was the Crossing of the Line ceremony, visits to the ship’s bridge and engine room, and our first contact with Australia when we stopped at Fremantle. My brother became sick during the voyage and was bed ridden for about a week. Another boy became very ill and died. The ship stopped briefly and he was buried at sea. I wonder if there was any link to those stuffed animals; crammed with hospital waste and other nasties. It was very hot in Adelaide on the day of our arrival exactly four weeks after our departure. We arrived in the morning of the 26th February 1963 and the heat of the day was beginning to make itself felt. How could people live in this place? It was the heat of a desert. What kind of hell had we come to? We’d travelled through the equator and the heat didn’t seem this bad. In time you get used to it, or get used to tolerating it. I still hate the hot weather. 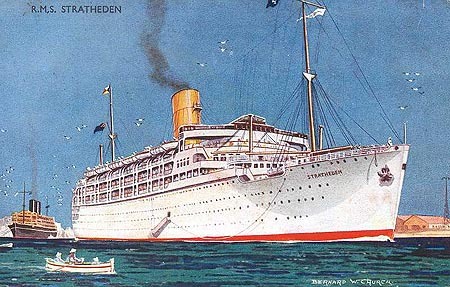 30 MARCH 1955: When on passage through the Mediterranean on Sunday, 13th March, the s.s. Stratheden received an S.O.S. message from the Greek trawler Iason at 11.20 a.m. 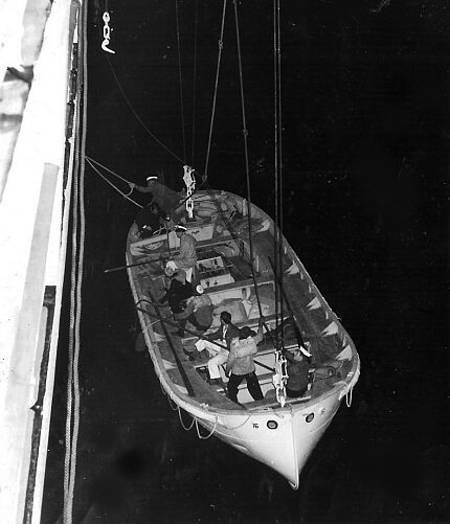 Course was altered to the position given and the lifeboats prepared for rescue work. The engines of the four motor boats were run and proved satisfactory. At 4.12 p.m. Stratheden reached Iason, the position being about 95 miles east of the toe of Italy. The weather was a gale with a heavy sea and swell. Within a few minutes No. 16 (motor) boat was lowered and was on the way towards Iason. The boat found it impossible to go alongside and the crew of Iason were picked up after jumping into the water. On the way back to Stratheden No. 16 boat was struck by a large wave, filled up. capsized and sank about 200 yards on Stratheden's port quarter. A most difficult rescue operation thus narrowly and most tragically missed successful achievement. Even so, four members of Iason's crew were saved. No. 6 (motor) boat was launched but the engine failed to start. This boat, with its crew, had to be recovered before Stratheden could be brought round to windward of the men in the water to allow her starboard boats to be launched in the lee of the ship. As soon as this was done No. 1 (accident) boat and No. 5 (motor) boat were launched. No. 5 boat reached the men in the water about an hour after the accident and picked up seven men. No. 1 boat was unable to rescue any. After searching for an hour in heavy seas and rain the two boats returned to Stratheden in the gathering darkness. Eight members of No. 16 lifeboat's crew and 11 men from Iason were not recovered. Stratheden remained in the vicinity until 9.0 a.m. on the following day, when hope was abandoned and she resumed her voyage. In 1955, the Peninsular and Oriental Steam Navigation Company established the James Michael Bower Endowment fund as a memorial to James, late Third Officer of the Stratheden who lost his life in the disaster. Awards from the funds are made to those who receive either a Gold or Silver medal of the RNLI for gallantry. 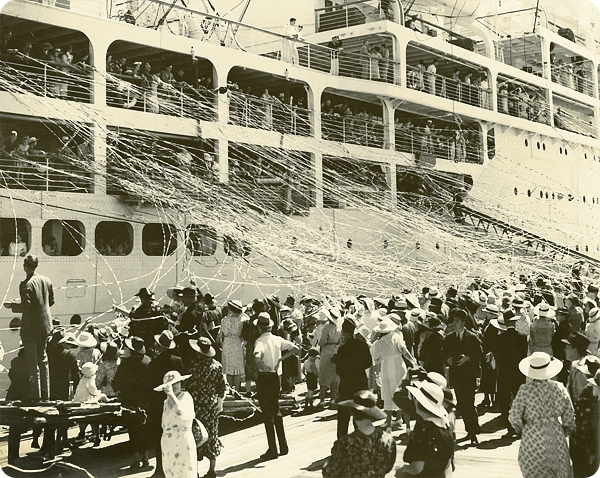 On a happier note, in April, 1961, whilst on a cruise, Stratheden visited the Cape Verdi Islands. To commemorate the visit the use of a special franking stamp was authorised, made up of an illustration of the ship and the caption; 'Tourist Voyage Cape-Verdi S.S. Stratheden'. Over 5,500 letters and postcards were franked with it. 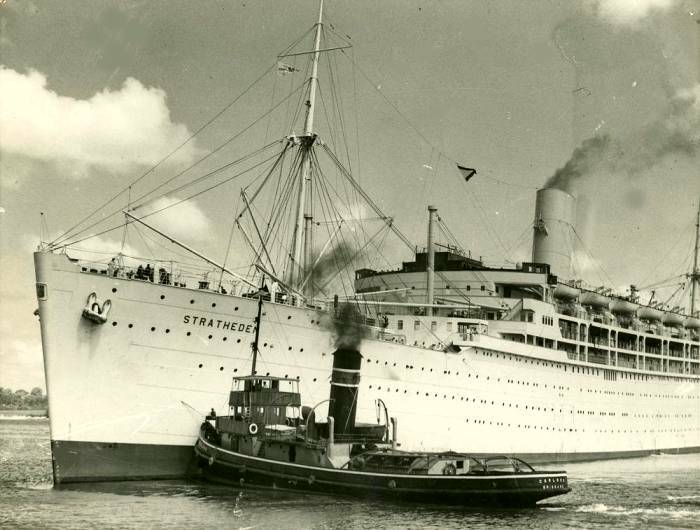 Shortly after this in the same year both Strathmore and Stratheden were converted to 'one class tourist' ships, to replace Strathaird, which had gone to the breakers, and Strathnaver, which was to be scrapped early in 1962. 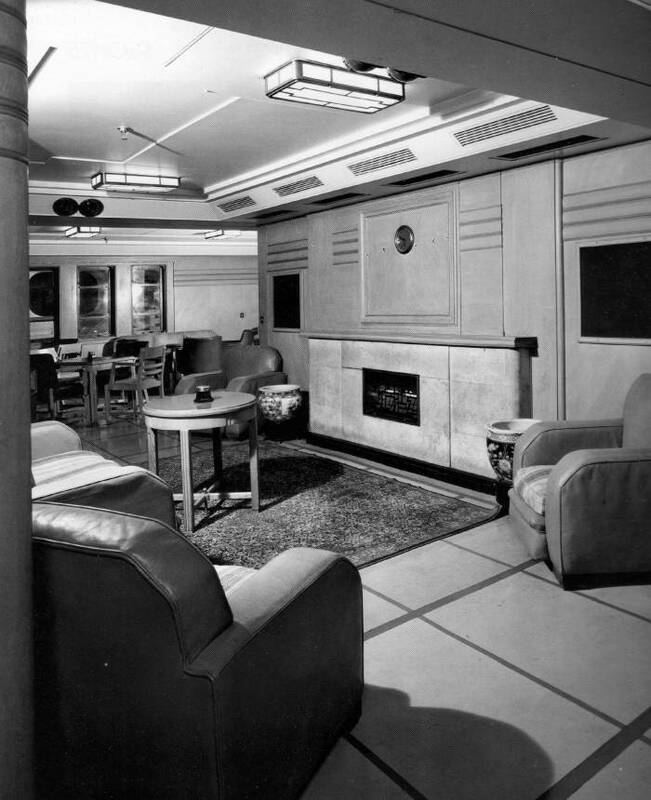 The passenger capacity for both ships was increased to 1,200. By November, 1961, the two ships had completed their conver­sions and were back in service. This new role did not last long, for a year later.Strathmore was the first to be taken out of service in November, 1963. Her Majesty the Queen Mother had always taken a special interest in the ship which she launched, and P&O presented several items of personal interest to Her Majesty. These included a tapestry of Glamis Castle, a portrait of her as Duchess of York and one of her as Queen Mother, plus a P&O crest and a photograph of the launching ceremony — all taken from the ship. 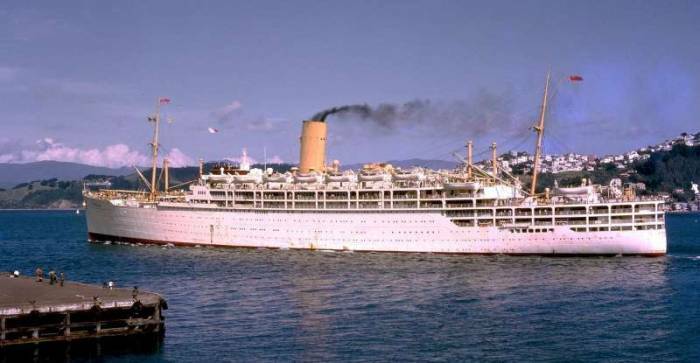 It had already been announced that Stratheden had been chartered by the Travel Savings Association for the months of December, 1963 and January, 1964, for a series of cruises. 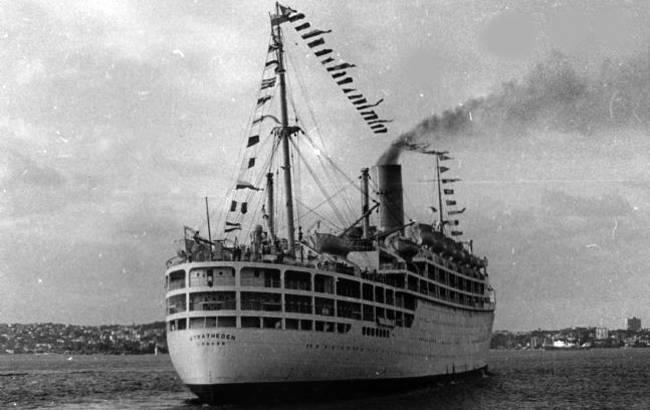 She was to be sold to John S. Latsis on completion of these four winter cruises, on 5th February, 1964. 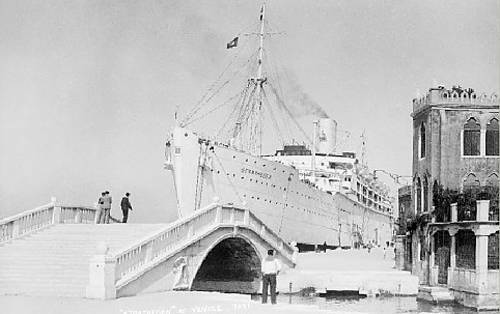 P&O provided the ship's company and 'one class tourist' services; booking, berthing and itineraries were provided by the charterers. It was whilst on one of these cruises that Stratheden was involved in her last drama at sea, when she went to the aid of the Greek liner Lakonia, (ex-Johan Van Oldenbarnevelt), on fire 180 miles north of Madeira. Stratheden was not the first on the scene but her medical services, which included two surgeons, nursing sisters, and a fully equipped hospital, were invaluable as she took on the most seriously ill survivors from the unfortunate Lakonia. 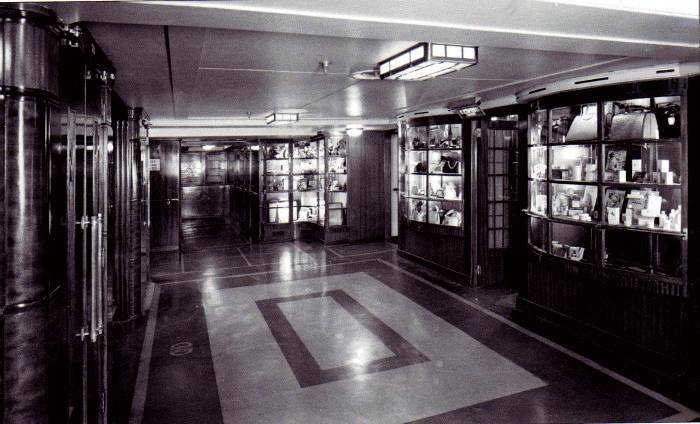 On 20th November 1962, P&O announced that Strathmore, Stratheden and the Orient Liner Orion, P&O-Orient Line's three remaining pre-war liners were to be withdrawn from service during the next 18 months. Between them they had a total service of 82 years. To compensate for the reduction in one-class berth capacity, Himalaya and Orcades were to be converted to one-class ships. On 23rd October, 1963, the company announced that both Strathmore and Stratheden had been sold to Mr John S. Latsis of Athens. Mr Latsis proposed to use them for the greater part of the year as hotel ships in the Mediterranean, and at other times for carrying pilgrims. 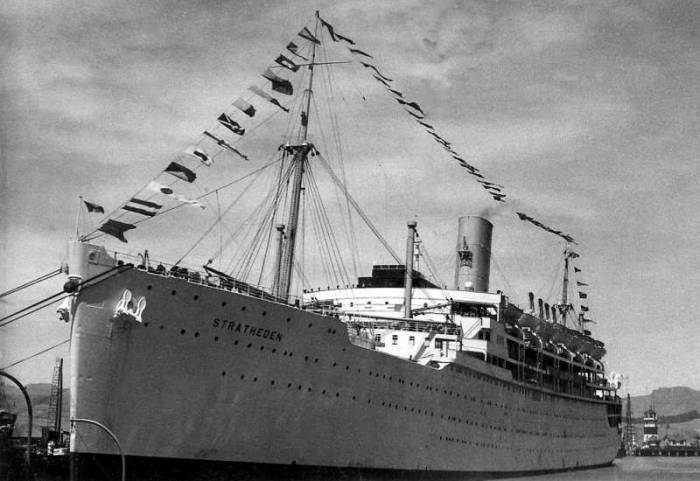 The Latsis company renamed the Strathmore, Marianna Latsi, and Stratheden, Henrietta Latsi. In 1966 their names were exchanged and Marianna Latsi became Henrietta Latsi and Henrietta Latsi became Marianna Latsi. Three years later, in 1969, when they were both over 30 years old, they finally went to the breaker's yard at La Spezia. The five 'Straths' were a major success in the story of the Australian mail service, and a credit to both Vickers Armstrong and P&O. 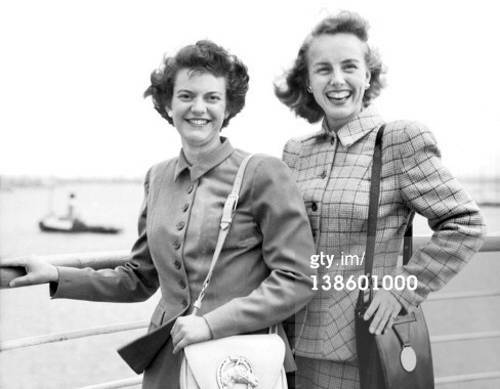 Martha Snader (left) and Mary Bazemore. They are in this country to do voluntary welfare work in the East End of London, working under the Toc H centre.